Bioinformatics, Structural Bioinformatics, Chemoinformatics, Services. S.A.F.AN. BIOINFORMATICS is a small bioinformatic company based in Torino, Italy. It was born in 2004 after a business plan competition organized by the Politecnico of Turin. Since then it collaborated with most of the italian pharmaceutical companies on structural bioinformatic custom research projects. In the last two years we devolved our time to internal research in order to develop SAFAN ISP, the in-silico screening procedure allowing to find new uses for old drugs and to forecast possible side effects of drugs in development. 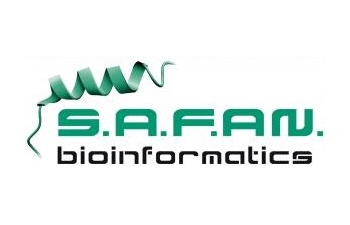 New applications of SAFAN ISP include drug resistance and drug combination prediction.